Ap 29/16 Station D: What did you think of “The Woman in This Poem”? 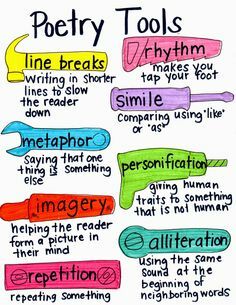 There is a lot of variety in the types of poems written, differing by their format, attitude they approach a common topic with, word choice, etc. The following poem will likely be a poem unlike any you’ve read so far in school ELA classes. It’s another sample of what poetry can be like. 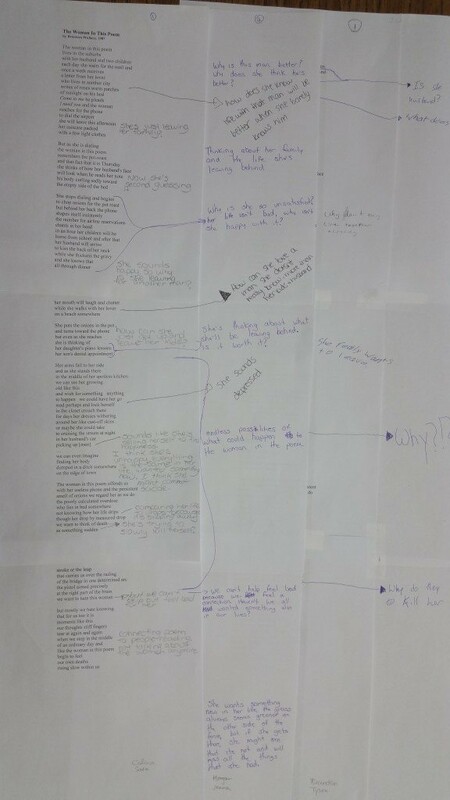 add comments/questions/insights on the Right-Hand side of the poem. Underline or circle the part of the poem that triggers your comment and draw a line from it to your comment on the right. As others rotate through to this Station Activity, they will read the poem, read your comments left on the right, and then add their own comments/questions/insights either directly to the poem or to the comments left by the ones before. What kinds of things can you comment on? Individually (each in the partner group) needs to add a comment to this post to share what you thought overall of the poem you studied. Try to develop at least a 3 sentence response. Below is an example of what it may look like as groups rotate through this station. 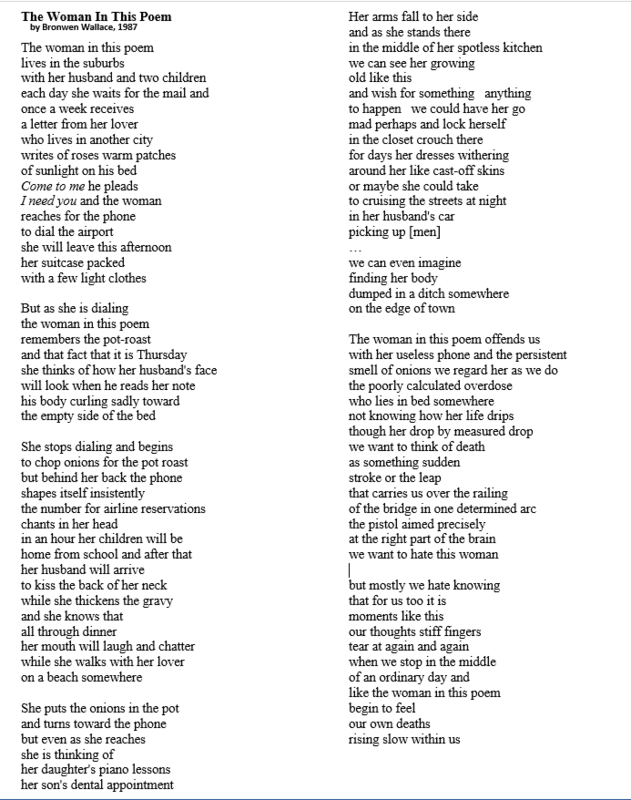 Category: ELA B10 | 16 Comments on Ap 29/16 Station D: What did you think of “The Woman in This Poem”?